HortEx Vietnam 2019 – The 2nd International Exhibition and Conference for Horticultural and Floricultural Production and Processing Technology in Vietnam will return from 13th to 15th March, 2019 after its first successful debut in 2018. 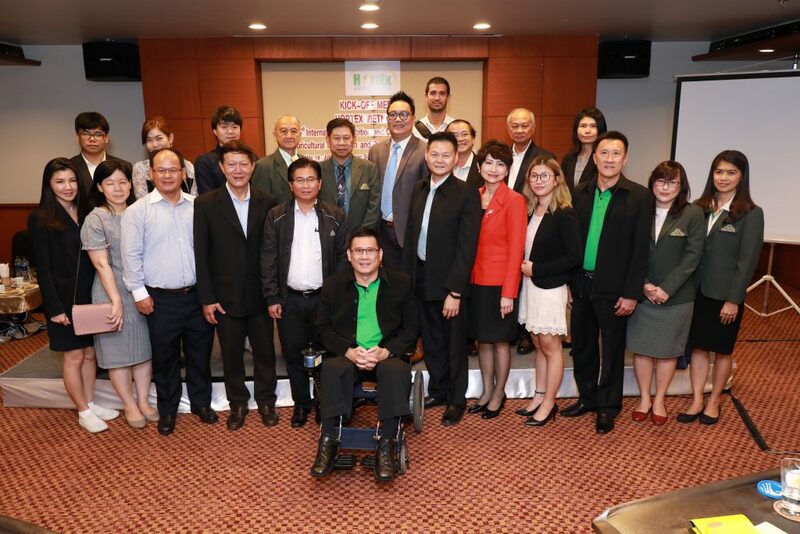 The event has a kick-off meeting to be held on 18th July, 2018 at the Queen Sirikit National Convention Centre, Bangkok, Thailand. Attending the kick-off meeting are delegates from Vietnam Consulate in Thailand, Vietnam Ministry of Agriculture and Rural Development and Vietnam Fruit & Vegetable Association (VinaFruit), as well as representatives from active businesses in the horticulture and floriculture industry. HortEx Vietnam 2018 received great reception from joining exhibitors; 92% of the exhibitors said that HortEx Vietnam met their expectations. Based on the positive feedback and growing interest in the Vietnamese market the decision has been made to increase the exhibiting space by two fold for next edition in order to meet the increasing demand from companies worldwide. HortEx Vietnam aims to support the rapid growth of the Vietnam horticulture and floriculture industry. According to figures from the Vietnam Ministry of Agriculture and Rural Development, horticulture and floriculture production and processing is one of the most promising segments of Vietnam, a leading economy in South East Asia region. Vietnam earned over 2 billion USD from exporting fruits and vegetables in the first half of 2018, a year-on-year rise of 19.7 percent. Horticulture and floriculture are set for a steady growth and becoming a leading export industry of Vietnam. HortEx Vietnam, with its commitment, has received strong endorsement from Vietnam Ministry of Agriculture and Rural Development, Lam Dong Tourism, Trade and Investment Promotion Center (TIPC), Vietnam Fruit & Vegetable Association (VinaFruit), Dalat Flower Association and the Netherlands Embassy in Vietnam. The event is highly anticipated to connect worldwide providers with local businesses and experts from related industries in Vietnam. The kick-off meeting for HortEx Vietnam 2019 is held on 18th July, 2018 at the Sirikit National Convention Centre, Bangkok, Thailand. 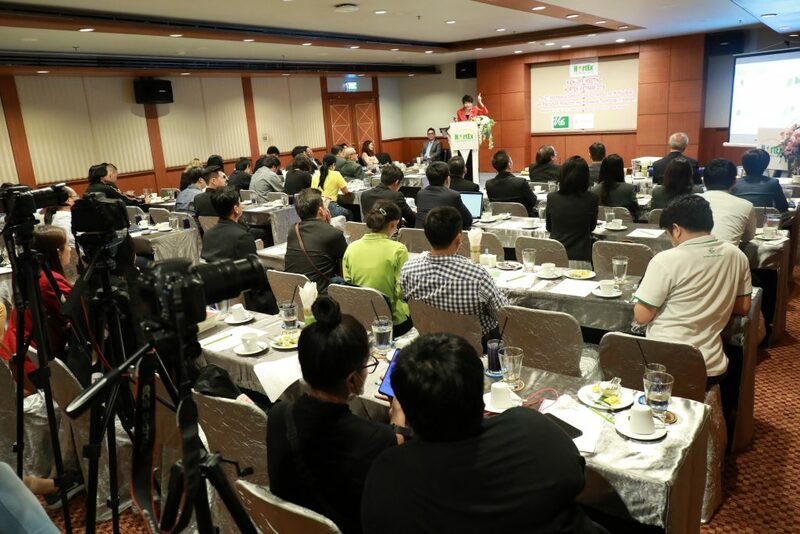 The meeting introduces highlights of HortEx Vietnam 2019 and present opportunities for attending businesses to find out more about the Vietnam horticulture and floriculture market. More importantly, it shows in details pathways to investment into Vietnam given the country’s global trade policies. The topics are demonstrated via presentations including “Vietnam – Overview on Horticultural and Floricultural Industry in Vietnam” by representative of Vietnam Ministry of Agriculture and Rural Development; “Business Opportunity between Thailand and Vietnam enterprises” by Representative of Vietnam Fruit and Vegetable Association (VINAFRUIT); and “Experience Sharing on Doing Horticultural and Floricultural Business in Vietnam” by Representatives of Thai Companies.